We recommend using Google Chrome when using the Applications Portal. We are currently experiencing a technical error with credit card payments through the fees cart. It is recommended to pay via our sundry payment gateway. 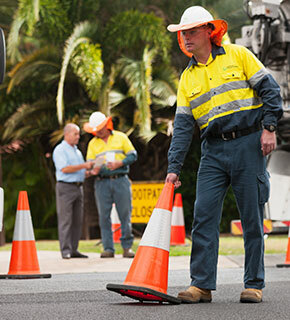 In some cases, fewer than 15 per cent of applications submitted to Queensland Urban Utilities are properly made or provide correct or complete information. To meet your expectations of more timely and consistent assessment, we need your help. By 1 October 2018, we will be upholding our commitment to assess only properly made applications with the necessary information to make an informed decision. Download our Check for Completeness guideline (PDF) for more information. What services can I apply for in the applications portal? What information do I need to make an application? You first need to decide what service you require. whether the application is for a connection, disconnection or alteration to each service applied for. any other information that may assist us in assessing your application. How will my connection application be assessed? We will undertake an initial review of your application and any information you have provided to us. If we require further information from you to enable us to complete our assessment of your application, we will issue a request for information by email and you will need to lodge the additional information via the Developer Application Portal. What if I can't access the online applications portal?